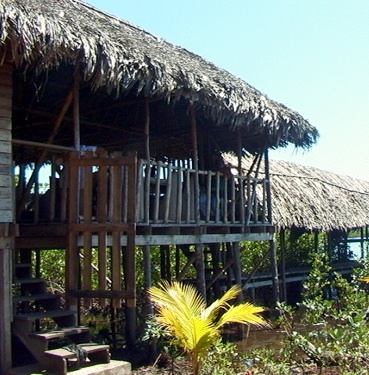 Bahia Honda (means Deep Bay), the community where are the headquarters of the TIMOROGO Community Tourism Project, is located between Bastimentos Island and Solarte Cay, at the end of the deep bay between both islands, to the left of it, for those coming from Bocas del Toro or Bastimentos. The only way to reach the center of the community of Bahia Honda, home to the headquarters of Ngabe TIMOROGO Community Tourism Project, is by boat. Any tour boat can bring you to the community restaurant, but if you want to tour with us, take a lunch or buy handicrafts, can phone us and we will pick you up wherever you are. The cost of transport in both directions depends on where you are and how many people are in your group, adults and children within it. The best way is to contact us before coming to ensure the availability of space on the tour or in the restaurant.